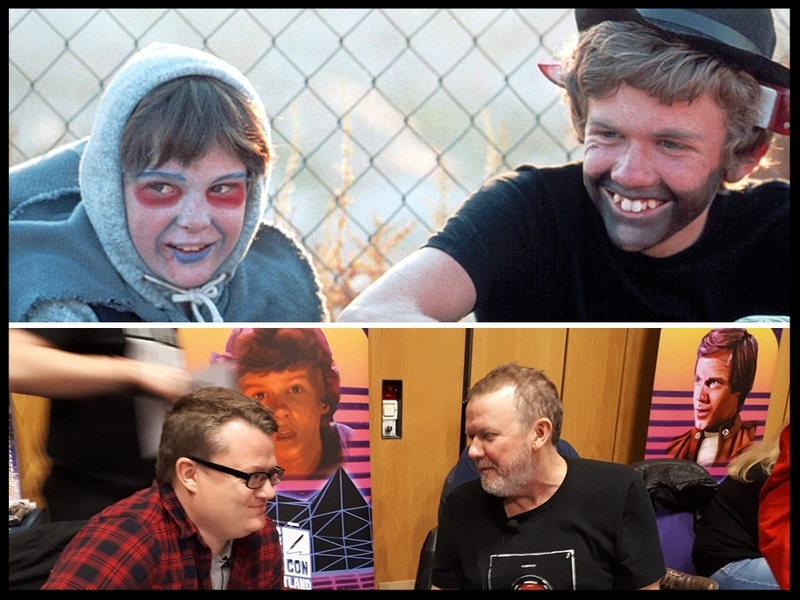 While attending the “For the love of the 80’s” convention, I had the opportunity to speak with actor Robert MacNaughton - who played everyone's older big brother Michael in the timeless 1982 movie ET: The Extra Terrestrial - in between signings and selfies with his fans. How did your desire to act come about? My desire of acting came about because I wanted to be a writer. I was twelve, I wrote a script for Star Trek and the teacher couldn't find anybody else that wanted to do the script - so I performed it. Then I found out that I really loved that a lot more. It was easier than writing and I was able to express myself more with acting than as I could as a writer. Can you talk about the audition process for the role of Michael in ET? So she made a phone call. She wasn't even casting ET and they'd already seen a bunch of other people but I got a late audition - which I think is good because it means you’re fresher in their minds than all the ones they've seen before. My first meeting was with Steven Spielberg alone and I didn't read anything. It was him asking what my interests were. I told him “I liked riding bikes & I liked playing Dungeons and Dragons” to which he said “that's in the movie!” - I seemed to answer everything right. They had me back to read with the actors who were reading for Elliott but it was sort of an improv, they didn't show us the script because it was top secret. So that lead to a third audition. They had an informal game of Dungeons and Dragons with me, the other boys that were cast and with the original person who they were considering to play Elliott. He was pretty far along. They hadn't cast him but everybody around the film thought he was cast as Elliot - He was never cast because we were all still auditioning - they had people in mind. Meanwhile Steven had seen Henry Thomas (currently starring in the Netflix series The Haunting Of Hill House) in a film called Raggedy Man. Steven was editing Raiders Of The Lost Ark in the editing room next to the film's director Jack Fisk, who was cutting Raggedy Man, and he fell in love with Henry saying that he'd be right for the role of Elliott. What approach did Steven Spielberg have when he was directing you and your child co-stars? With the children Steven would listen to our ideas and spent a lot of time to get exactly what he wanted from the kids. We never felt we were second fiddle to the camerawork - it always felt like we were the primary focus and all of that had to wait for us. He was like another teenager to be honest. I always thought he was trying to fit in and wasn't awkward but he didn't take himself too seriously and he was always eager to please. He had a very infectious enthusiasm for everything. 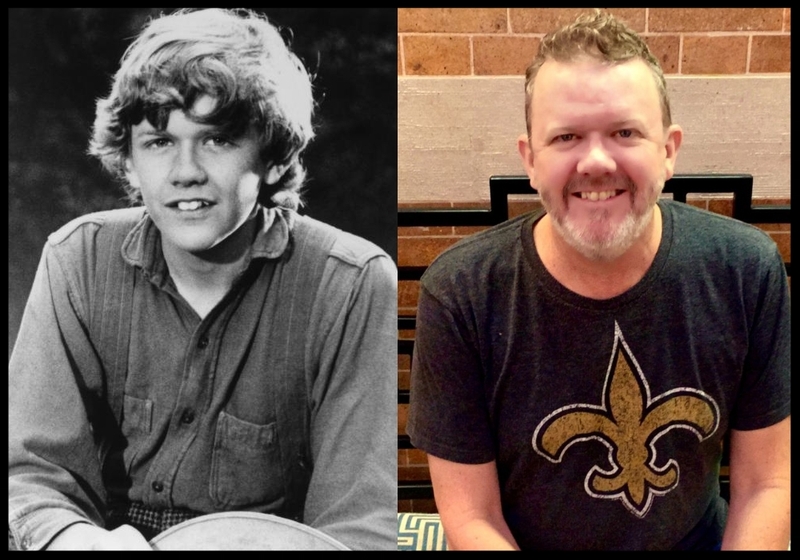 He knows so much about movies - more than anybody else - One time he's giving me directions like “I want you to rip this hood off like you are Richard Basehart in The Prisoner of Zenda and want you to…” I'm like “I'm fourteen” (laughs). He gets over enthusiastic, especially about movies, and is that way to this day with his encyclopedic knowledge of them. I introduced him to my wife (Actress Bianca Hunter who appeared in the 1992 Abel Ferrara film Bad Lieutenant starring Harvey Keitel in the infamous ‘car pullover’ scene) and we went to a memorial service for ET's Screenwriter (Melissa Mathison) and I said to Steven “had he seen Bad Lieutenant?” that my wife had a small role in - he said he hadn't. But I remembered that back then he did two movies that year. He was editing Schindler's List and filming Jurassic Park - so he can be forgiven for not seeing Bad Lieutenant at the time. What was the most taxing aspect of ET's Production for you? The scene in the river when I'm looking for ET. It was raining in the woods they had about ten of the same outfits because I kept getting soaked. I kept running down into the river. They had animals in the shot, like a raccoon and a deer, and they couldn't get the animals to cooperate so it was over and over, getting wet every time. Were the filming days for you and the other children long? They can't do that with kids, which was a problem for the adults because they have to work around them. Child actors must have 3 hours of school and you are only allowed to use them for four hours of filming a day - so they always try to get our scenes done first, then send the kids to school while filming scenes with the adults. They have to have the adults ready just in case they couldn't get one of our scenes, so Dee Wallace (Mary) was on the set at six in the morning and she'd wait around to film her scenes at three in the afternoon. Did he have an element of play to the production? Yeah he did he had arcade machines that were in the studio office. They had Missile Command and Defender and you could go in there whenever you wanted. Steven and Frank Marshall (ET's producer) were in their early 30s - same age - they were having a running battle on Missile Command. It got so bad that when they went up to the location, at the end of filming - they went to Crescent City, California - they made the production trailer bring up the Missile Command cabinet to the Motel so they could continue their match. There was a playful attitude on the set. How did it feel to be a part of an extremely successful film that continues to endure as 1982 was the year of ET? It felt incredible! It stayed in the theatres for a year and was brought back three years later! That would never happen now - it's all about opening weekends and then it's practically on Netflix the next day. After ET's success was there any rumblings of a sequel? I never heard about it but they did plan on doing one. They had a story treatment idea that really never got off the ground. Steven, at a certain point, felt it was a very personal movie for him and it's about things in his life; Me? I see it as a fable, a lot like Pinocchio. I know recently Drew Barrymore (Gertie) tried to get the rights from Steven - I don't know if it was for a sequel or a reboot but he wouldn't allow her to have the rights and he loves her like a daughter. Did you ever watch any of the ET rip offs? Yes Mac and Me was like a blatant ET rip off. You can not talk about ET without discussing the infamous Atari Game - often labelled the worst game ever made - did you ever play it? I never played it, I never had Atari. I had Intellivision at the time. I did later on, like I played an emulated version on the computer and it was a horrible, horrible game. It was rushed out. It wasn't Steven's fault, it was Universal Studios - they wanted to capitalise on the movie - he had no involvement, so the less said about it the better (he laughs). Did Steven's involvement with Poltergeist affect the filming of ET? In 2002 ET was re-released with some CGI tinkering what are your thoughts on the changes made? Everybody had a problem with the walkie-talkies. I had no problem with that. Steven said in interviews “If there's one thing I could change it would be the fact that guns are used to threaten children” I agree with him on that but I didn't notice any big difference in the change from walkie-talkies just standing there. I did have a big problem how the CGI didn't look as real as the animatronic used in the film. Every scene where they use CGI, I like the original scene better. I didn't like the bathtub sequence with the CGI ET in the tub, it just didn't look as real as the work of Carlo Rambaldi (effects wizard who built ET). Carlo took me to his studio when he was doing Dune and he was excited making the sandworms for that film. But I did like that they added one scene that Drew had when we were coming back from halloween and a minor dialogue change. That's easy I work for the US Postal Service so I don't have any acting projects. Hopefully just more conventions and I'm doing one in Manchester in two weeks which I'm looking forward to attending.